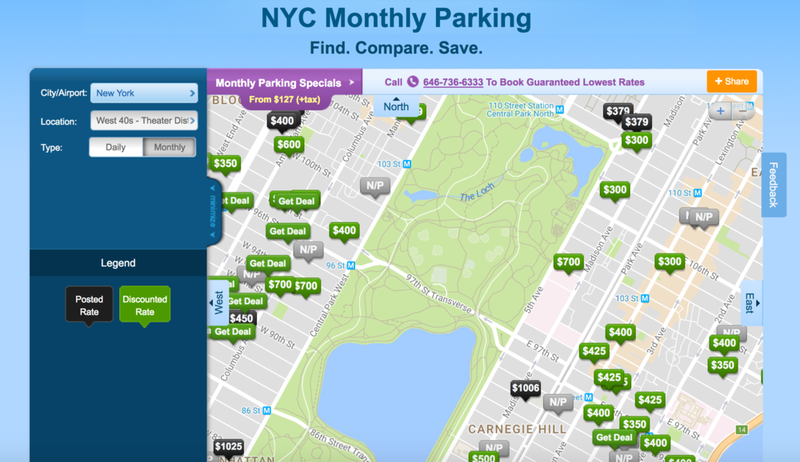 The Freakonomics edition: can parking tickets be a good thing? Parking tickets are almost a right of passage for drivers in New York. An estimated $440 million in revenue is collected by NYC annually via parking tickets. Put another way, that's ~$50 per New Yorker. This raises a question about incentives: are New Yorkers incentivized to violate traffic laws by the City of New York? Do ticket recipients usually feel pangs of angst and injustice at the site of the orange envelopes, or are they more often calculating whether it's the lesser of two evils? Let's look at the specific example of street parking. Is it, in fact, often cheaper to rack up parking tickets than to pay monthly parking garage fees? Suppose you are choosing between free street parking and a parking garage. Let's assume you live above 96th Street. Parking garages above 96th cost a minimum of $300 per month, plus tax. Let's suppose also that you only use your car on the weekends, and that it is easier to find street parking on the weekends, so you leave your car in its spot during the week. But during the week is when street cleaning is happening where you parked. That's a $45 ticket for each Alternate Side Parking violation. Yet even if you do this week in and week out, you may still find that your pile of tickets adds up to less than a garage. Below 96th St, at $65 per ticket, your violations would add up more quickly, and yet still may be less costly than many garages. As the image above depicts, the expensive park-front garages seem to be anchoring around $700 p.m. It is entirely possible this dynamic is a total unintended consequence in the NYC system. And the Department of Transportation is certainly making strides to create a better user experience: they recently made it easier to dispute tickets with a user-friendly app! No need to see a judge to raise a dispute now. This could be especially helpful for out-of-town friends who get slapped with the other NYC traffic police trope - towing. This article contains personal opinions and observations only. The above analysis is not legal advice or advice to break the law.